Well, another one bites the dust. TV manufacturers who still hope for a return to those great days of 2006 and 2007 when new TVs were flying off the shelves will have to keep waiting. It looks like the latest and greatest trend joins a long list of flops. I’m not talking about 4K (yet.) I’m talking about HDR, which was presented to the world as the next super-duper thing at this year’s International Consumer Electronics Show. I blogged about it a few months ago in an article that went largely unread. Perhaps that should have tipped me off. 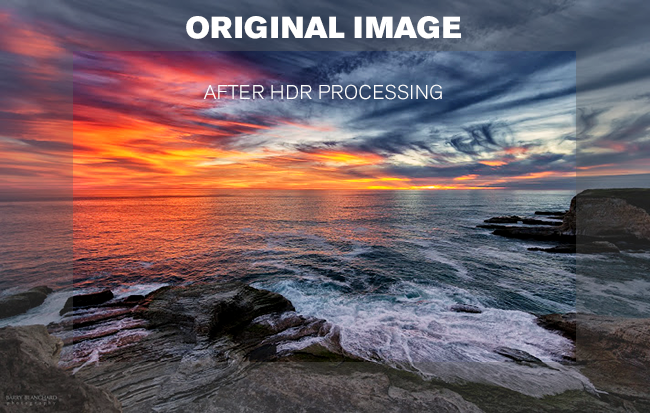 In case you’re still not interested in reading that article, HDR is a technology that makes every image seem brighter and clearer by taking advantage of the latest technologies in LED panels and some clever software. Programs that are designed to use it look great, and it can be applied to existing content on-the-fly. But, you don’t care about it. That’s a fact borne out by this article in HD Guru which says that like “fetch,” HDR is not going to happen. Salespeople don’t understand it, people don’t ask for it, and while there is ample stock in the major retailers, it’s just not a selling point. That’s a shame, because HDR could really have made a difference. Unlike 4K, real HDR content can be sent easily over today’s internet connections and having the right TV absolutely can make a difference. It’s not that I have a real stake in the matter, but it’s a shame to see this very helpful feature not take root. I hate to see it become just another failure like gesture-controlled TVs and 3D. Perhaps the failure of HDR isn’t really due to HDR but to the “cry wolf” mentality of TV makers in the last five years. TV makers enjoyed some spectacular successes in the ’00s when manufacturing costs dropped so fast that everyone made money even with price wars. Then, rather than realize that such an event was a once-in-a-generation mix of luck and planning, they kept trying to duplicate their successes with a string of features no one really wanted. This drove prices down to the point where for 90% of people or more, TV is a commodity, something you get at Costco while you’re there getting your yearly 100-pack of lint rollers (I won’t judge.) Screen size and price are the only considerations now, not performance, features, or brand. And that means that new features just aren’t being given a fair shot. So that means “hasta la vista” for HDR, we hardly knew ye. It also probably means that it’s going to be a while before any new feature really captures the imagination of the public. With a TV lasting 7-10 years, most folks won’t be looking for new ones for three more years… so perhaps the smart thing for these manufacturers to do is to hold some of the good stuff back until people are legitimately willing to pay for it.